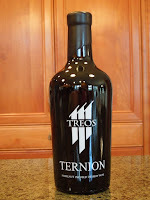 Treos will be at Pour Oregon April 28th! Treos will be sharing our fine wines at Pour Oregon. Come and enjoy the show. 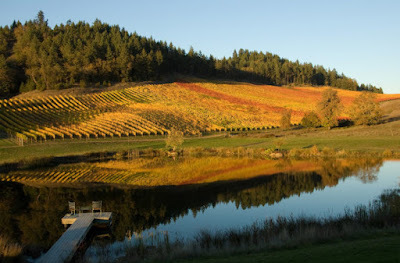 Many fine Oregon wines will be presented for your tasting pleasure. Over 50 Oregon Wineries will be showcasing their wines. Come to taste and enjoy!!! Come join the fun in Corvallis March 16th! We'll be there pouring some fantastic TREOS wines! Our Dry Muscat and Albariño...both rated by Wine Enthusiast as the 3rd highest ratings they've given either of these wines in the world! They also gave them Editors Choice...what could be better? We'll also have our sumptuous Pinot Noir, and port-style dessert wine, Ternion for you to sample. TREOS Dry Muscat: Loved by the Critics!!! Two different Muscat clones are blended, and the wine is finished completely dry. The aromas are classic for the variety—rosewater, orange peel and citrus blossom. Flavors of orange, apricot and peach rule the palate, with a hint of brioche through the lengthy finish. Have fun pairing this with a variety of spicy noodle dishes. We're also excited to share Great Northwest Wine's thoughts on our 2016 Dry Muscat! Dave Jepson’s three decades working for Hewlett-Packard led him to Europe, and his time in Alsace continues to inspire his love for Muscat. It shows, and his consistency with these varieties has made him one of the Pacific Northwest’s top magicians with Muscat done dry. In 2016, his blend of estate fruit near Monmouth, Ore., cropped to 1.5 tons per acre guided him to Muscat Blanc à Petits Grains (65%) vs. Muscat Ottonel (35%). Some years, it has been the opposite, yet the results are just as delicious. Beautiful tropical notes include lychee and ripe pineapple, and the structure is far from soapy. Rather, it’s vibrant, spicy and even tingly. There’s a barely perceptible level of residual sugar (0.5%), allowing it to play either as an aperitif or with seafood. For a dry Muscat, this is about as good as it gets. Call or email us if you'd like to pick up some of this wine! 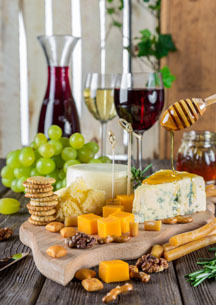 It's a fabulous place to meet friends and partake in the area's bountiful wines!! We'll be tasting ALL our great TREOS wines! Come try a taste and/or purchase a bottle!! We have some special sales going on right now...don't miss out!! 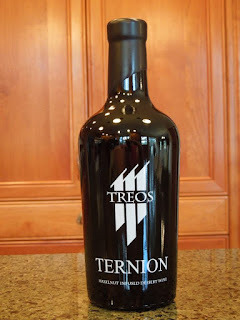 Ternion: Port-style dessert wine infused with Oregon Hazelnuts! YUM!! Stolen Kisses... Perfect with Cheese, almost any light dish and ROMANCE :). 2016 Dry Muscat: Fabulous with shellfish or as an Aperitif!